You get a big business image but are able to stay in your current place of work – you select one of our Business Addresses on your marketing material and website to impress clients. We give you a new localised telephone number so we can answer your calls in your company name acting as your personal receptionist. You’ll be able to win business from corporate clients you never could before as they will have confidence in your business. With our Virtual Office Service your clients will see a prestigious business address for your company and experience a professional receptionist when they call you, which will distance you from a small work-from-home entity. Not only will your new corporate address make you appear closer to your clients but should they want to meet you at your new HQ you can always book a meeting room and meet them at your offices. You can be live within 36 hours! Due to the nature of Virtual Offices we need to cross a few t’s and dot a few i’s in terms of money laundering and business registration. However we will look to get everything sorted as soon as possible and get your business enjoying a new & improved corporate image. When you purchase the Virtual Office service online, confirmation of the purchase will be emailed to you immediately afterwards. It is recommended that you keep this confirmation safe because it forms your Agreement for the services purchased. A member of our Virtual Offices Sales Team will contact you within the next working day to discuss your service and ID requirements. We will require proof of identity and proof of address for one responsible partner / director of the company together with proof of the company’s registered name and office address and principle place of business if different from either of these addresses. Please note that we do not accept the certificate of incorporation as proof of the company. This information is required by legislation. 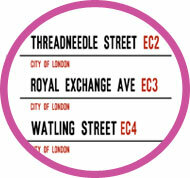 You can begin using your selected mail handling address when we have received all of the necessary ID requirements. Our virtual receptionists are professionally trained call handlers who answer your inbound calls in your company name, appearing as if they were sat in your office. Why pay for a full-time receptionist when you can get the same image to your clients for a fraction of the cost? Your callers will be greeted as if your were in a large office with a full-time receptionist, and then passed through to you. You can easily direct the calls to whatever destination number you want via our online control panel, so if you’re at home, mobile or working from any office destination your clients will receive the same quality service and always be answered by a person not a machine! 85% of first callers never call back – don’t take that risk and use our call answering service. Our contracts start from just three months, and from then onwards its a straight forward rolling contract with one month notice. Why commit to longer than you need to in this current economy? With our flexible contracts you can keep your business address for as long as you need once you’ve passed your initial period and should you find that one day you require an actual office at your address we can arrange for space to be rented at a discount rate. What About my Post & Mail – How Do I Get That? Most of our clients prefer us to collect their incoming mail and send it on in one batch on a weekly basis, however we are flexible to your needs so if you require an immediate turn-around we can do so. If you have an important package being delivered to your centre then please let us know and we can get this immediately couriered to you. If you are going to occasionally pop into your business address it may be easier and more efficient for us to store your items together so you can manually retrieve them. We don’t look to make money on mail handling – we simply charge the basic cost plus a small admin charge. As with all our charges we offer a straight forward rate card and won’t try to add any unexpected costs to your bills.